Yesterday was the 1st anniversary of the Marjory Douglas Stoneman massacre. Across the country, we remembered the 17 students and staff members murdered in their Florida high school. Survivors — and countless others with no connection to the school — believed that finally, something would change. 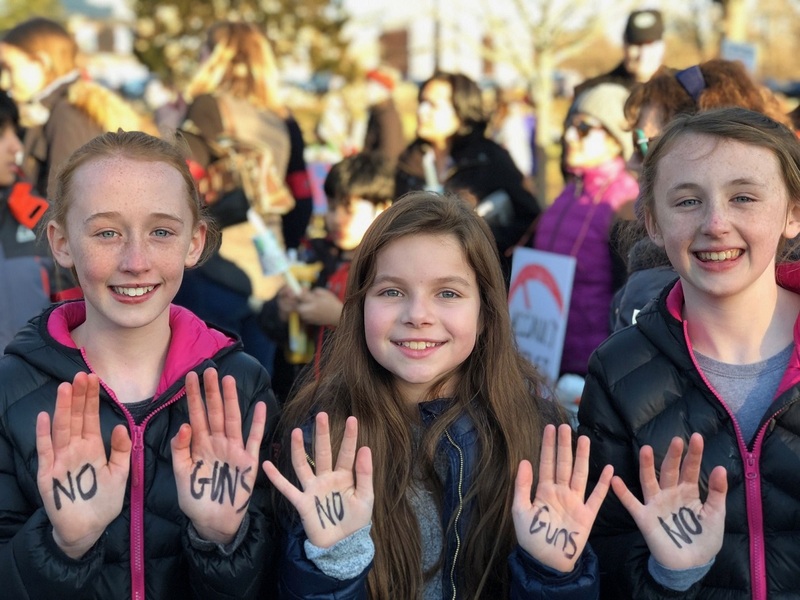 At rallies, online and in legislatures, calls for new gun regulations grew stronger. Yet in the year that followed, 1,200 children and teenagers have been killed. Far fewer people know their names, or where they lived, than know the Parkland students. Their stories have never been told. “Since Parkland” is a powerful media project. With the help of the Miami Herald, McClatchy publishing company and The Trace — an independent, non-profit news organization — 200 journalists set out to profile all 1,200 people 18 and under killed by guns. Since Parkland. 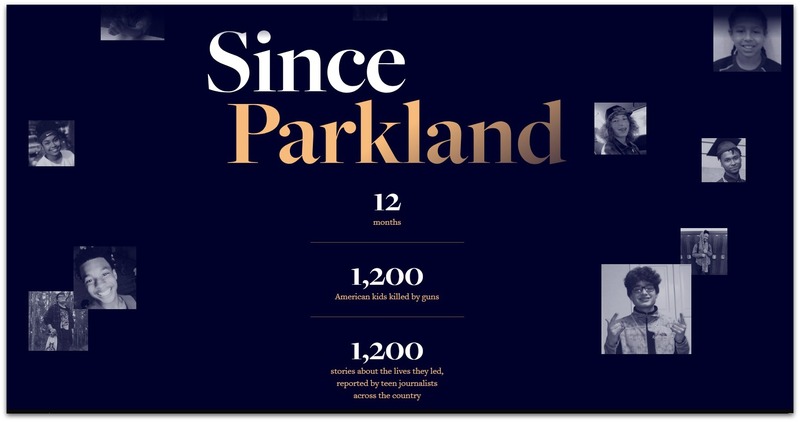 The Since Parkland home page. Sophie Driscoll is a proud participant in this important effort. Like many Staples High students, she’s busy. She’s an editor-in-chief of Inklings, the school’s award-winning newspaper. She’s president of the Young Democrats. But she made time for “Since Parkland.” And she helped make it a stunning piece of journalism. A year ago, Sophie published a story in Ms. Magazine. It started as a piece about Reshaping Reality — the Staples club that helps middle schoolers and their parents deal with body image, eating disorders and social pressures. But it soon became much more. Sophie’s piece highlighted teenage feminists who started clubs at their high schools. She interviewed students in all over the US. It was “interesting and exciting,” she says. She worked with an actual editor, Katina Paron. 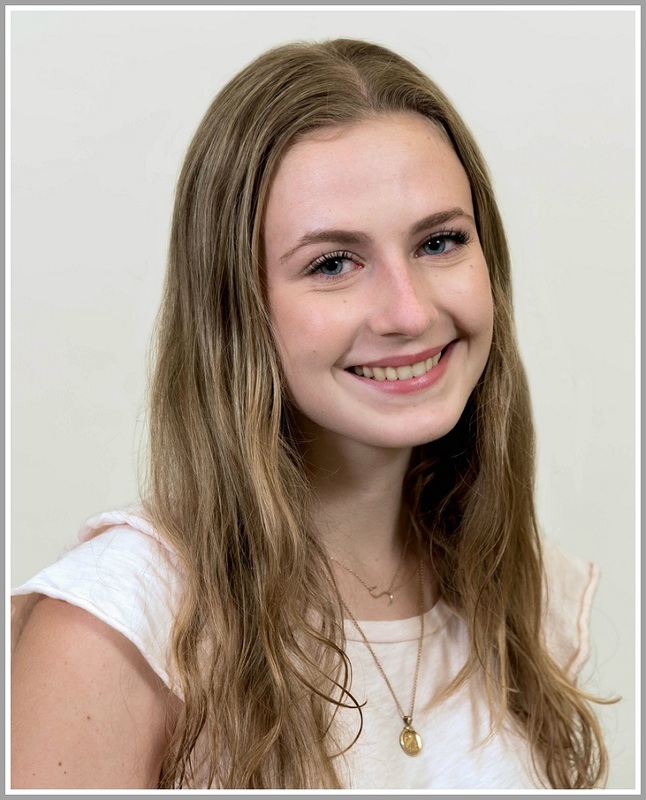 Last summer, Sophie joined 83 other rising seniors for a 5-week journalism program at Northwestern University’s Medill School of Journalism. While she was there, Katina called. She was looking for students with “good research skills,” for a project she described only vaguely. Sophie was assigned 6 stories. There was Nicholas Glasco, 18 of Stone Mountain Georgia, shot accidentally by a friend a month before his high school graduation. Christopher Jake Stone, 17, was one of 10 killed and 13 injured at Santa Fe (Texas) High School, 3 months after Parkland. 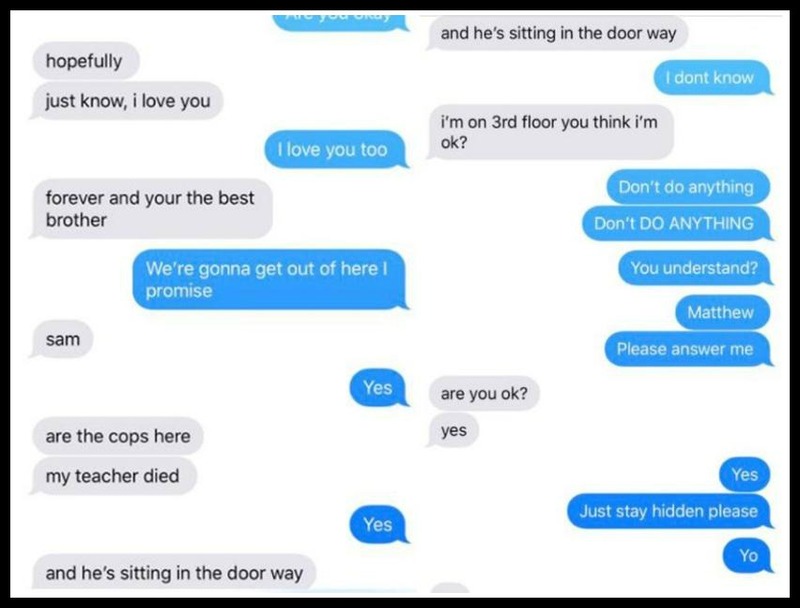 He was trying to block the door to his classroom to prevent the gunman’s entry. Tahji McGill, 17, was shot outside an Illinois club. Chavelle Tramon Thompson, 17, was murdered while walking with friends to a store in Union City, Georgia. In Virginia, a 2-year-old died when his 4-year-old brother accidentally shot him in the head. The very same day — also in Virginia — another 2-year-old was killed. He shot himself with a handgun he’d found. The Brunswick High School athlete played basketball and football. The numbers on his jerseys were 15 and 28, respectively. Throughout his athletic career, the 17-year-old worked to make his mother proud. She said he succeeded. 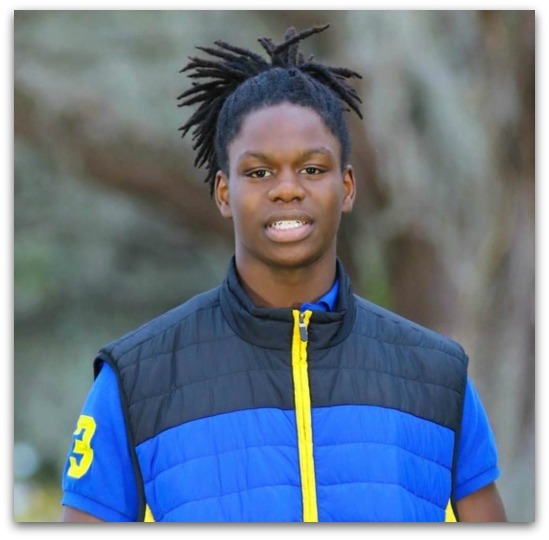 Xantavian “Tae” Pierce was helping someone move when a gun went off inside a box he was carrying, accidentally shooting him in the stomach at the Eagles Pointe Apartments in Brunswick, Georgia, on March 25, 2018. The process was wrenching. Sophie tracked down news reports, and scrutinized Facebook pages. She read what family members, friends and teachers said. “They seem like such vibrant, alive, regular kids,” she notes. Each profile is 3 paragraphs long. The first 2 give life to each young person. The 3rd describes his or her death. That was hard. “I had to take a step back, and write as if he was alive,” Sophie says. But they were not. The research itself was arduous. Sophie was stunned to discover there is no national database to track gun deaths. State records might list a date — but no name. Sometimes, there was not even a local news report. It was a truly collaborative process. The 200 young writers — from across the nation — used the Slack app and Zoom video conferencing to work together. They helped find information, and supported each other through tough times. Still, they did not realize the scope of the project — or how it would appear online — until nearly the end. And “the end” was, literally, 11:59 p.m. on Wednesday, February 13. Just as they had every day — Since Parkland — young people were killed that night. The project drew immediate attention. The New York Times highlighted it. 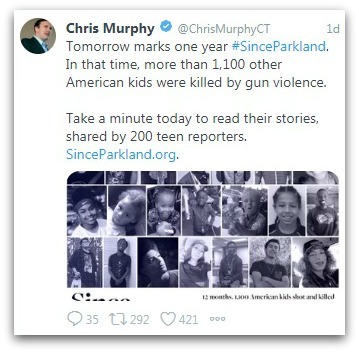 Connecticut Senator Chris Murphy — a staunch gun regulation advocate — tweeted about it. 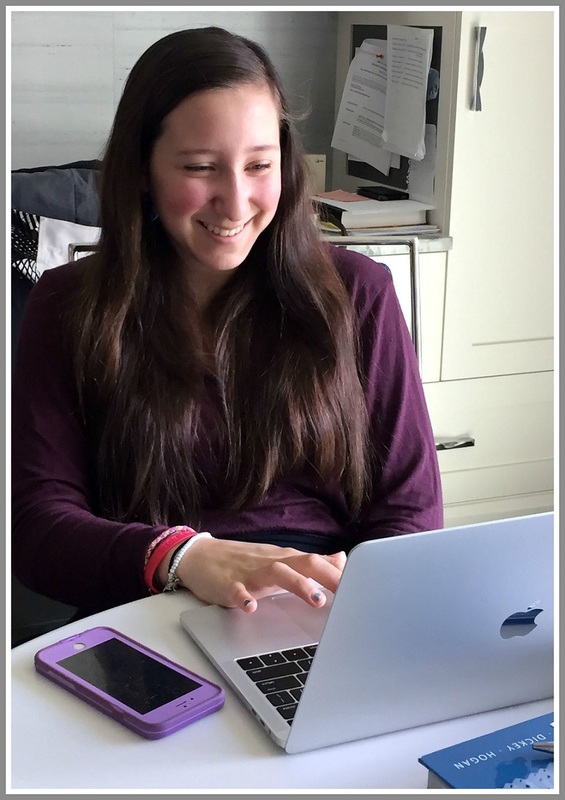 Sophie — who hopes to pursue journalism in college, and beyond — notes, “this was journalism, not activism.” But — like all good journalism — she hopes it will force people to think about an issue in deep, different ways. Her goal — and that of every student journalist — was to humanize all 1,200 young people lost to gun violence Since Parkland. “The statistics are staggering,” Sophie says. “But each statistic is a human being. It is hard. But — thanks to Sophie Driscoll, and scores of other determined high school students across America — right now we are doing just that. In March, over 1,000 Staples High School students walked out of class. Massed in the fieldhouse, they honored the 17 slain students and teachers of Marjory Stoneman Douglas High School, and demanded sensible gun legislation. It was a powerful display of activism. But many Westporters wondered whether the teenage leaders could sustain their momentum. A month later, a smaller — but still substantial — group of students headed to the high school courtyard. In the afternoon, a few dozen assembled on Veterans Green, across from Town Hall. 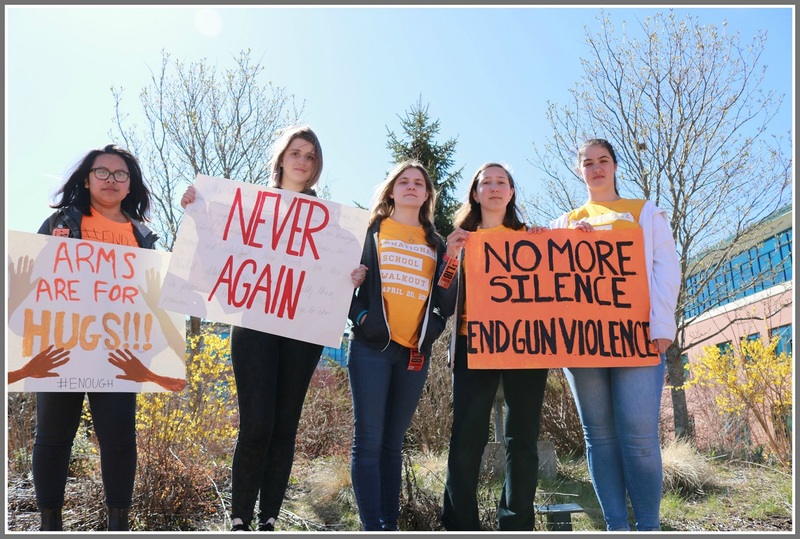 Again, their message centered on stopping gun violence. And again, the question hung: Are these kids in it for the long run? There’s now a Staples chapter of Students Demand Action. That’s the national organization — affiliated with Everytown for Gun Safety — fighting for common sense gun reform and usage. Westport leaders include Elana Atlas, Audrey Bernstein, Ruby Coleman, Kaela Dockray, Brooke Kessler, Peri Kessler and Eliza Oren. The end of the school year is in sight — the busiest time of year. Seniors have already headed off to internships. But Students Demand Action are in the thick of things. They meet regularly, to strategize and plan activities. Their first big event is a #WearOrange campaign. That’s the official color of gun violence — because it was what Hadiya Pendleton’s friends wore to honor her. She was killed at age 15 — just a week after performing at President Obama’s 2nd inauguration. On the weekend of June 1-3, the group will paint the town orange. It’s part of a nationwide effort. “We’re fighting to take back power from the gun lobby,” says Staples chapter co-founder Elana Atlas. All day yesterday, Westporters attended “March For Our Lives” rallies. They traveled to New York, Washington, Hartford and Shelton. Former Westporters marched in places like Roxbury, Los Angeles, Delray Beach, Florida — and West Palm Beach, getting as close as they could to Mar-a-Lago. Westporters temporarily finding themselves in places like Patagonia, Chile also marched. And when it was all over — as dusk was falling — Westporters marched here too. Over 1,000 friends and neighbors rallied on the Ruth Steinkraus Cohen Bridge, and on Main Street. Their message was loud and clear: This American scourge must end. 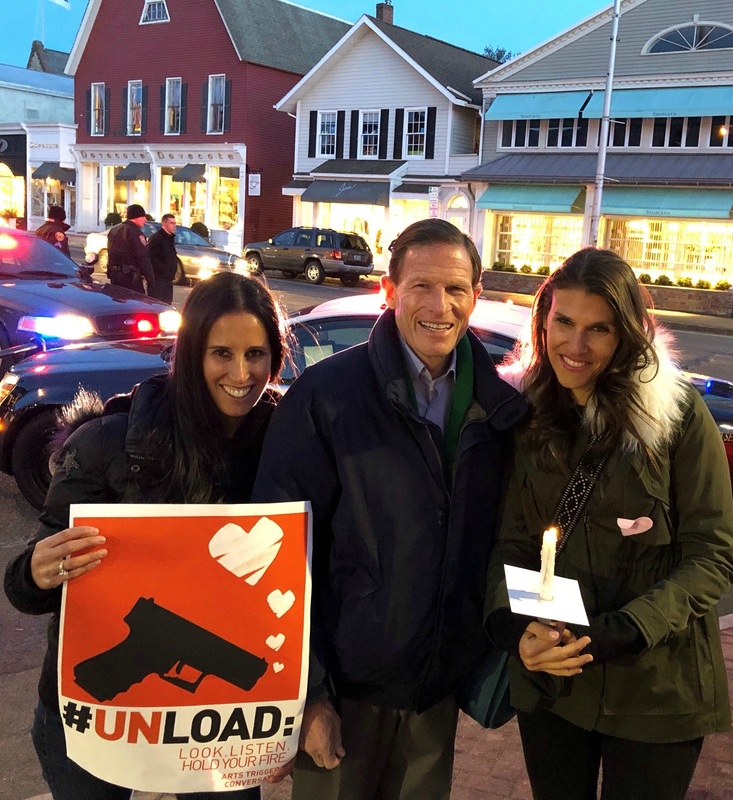 Senator Richard Blumenthal with “Westport Moms.com” Megan Brownstein and Melissa Post. Rob Feakins was in Washington yesterday. He compiled this short video. It’s a fitting coda to a passionate day. 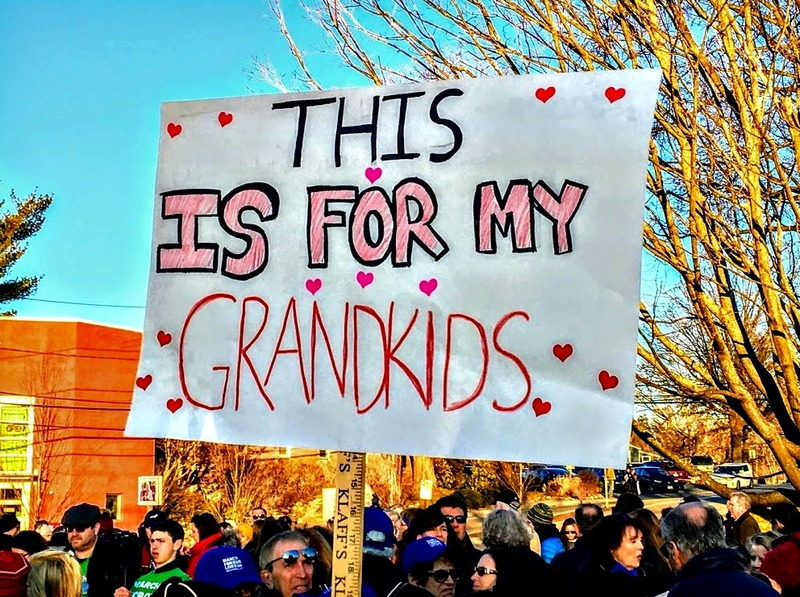 On March 24, hundreds of thousands of people of all ages will descend on Washington, DC. 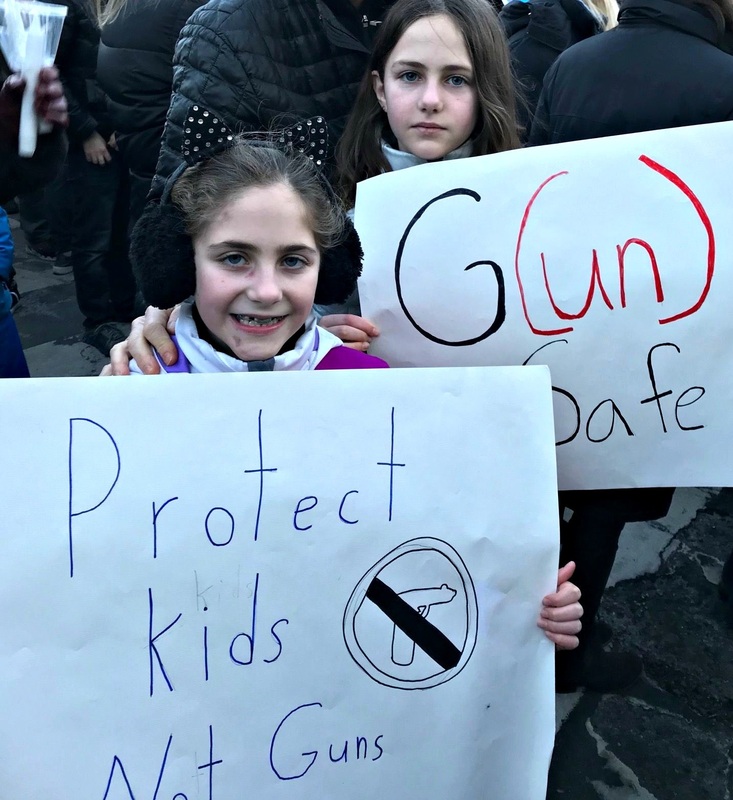 “March For Our Lives” will demand an end to gun violence in America’s schools. Here in Westport, hundreds will march too. 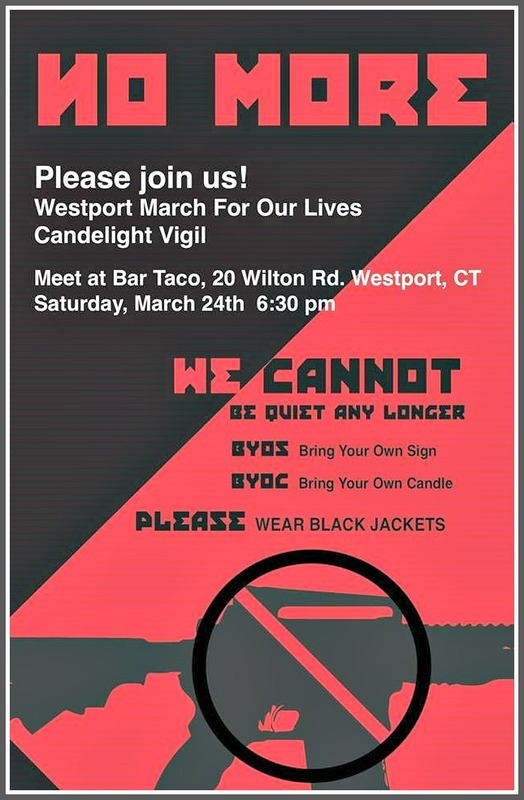 Phillip Addario, Bruce Chapman and Adria Belport are organizing a Westport March For Our Lives candlelight vigil. Participants meet at 6:30 p.m. on Saturday, March 24 in the Bartaco parking lot. 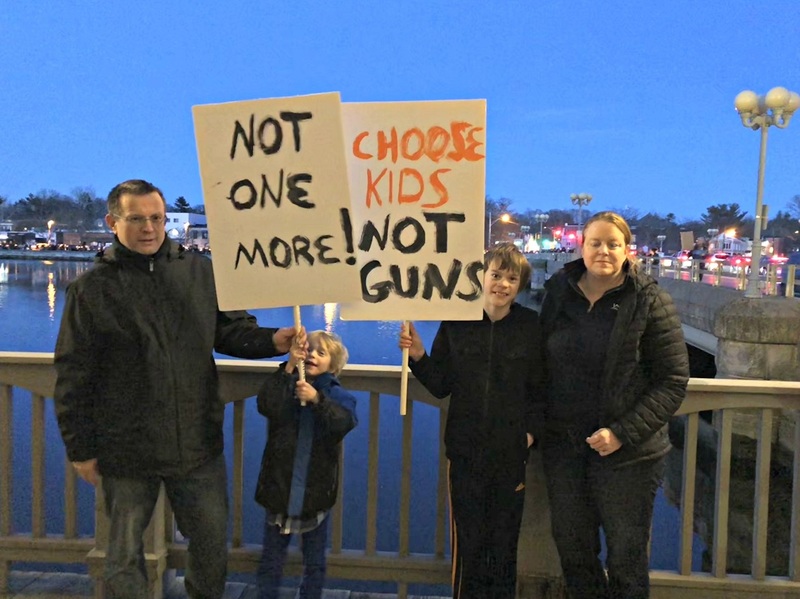 With candles and posters, they’ll walk to the Ruth Steinkraus Cohen Post Road bridge — site of many citizen gatherings over the decades — and then on to Main Street. 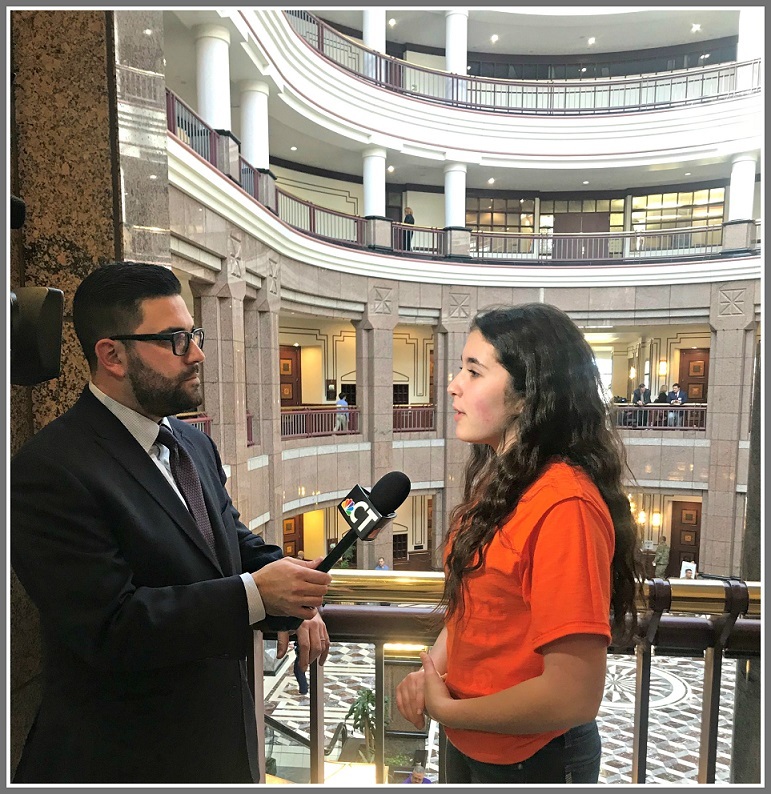 “We believe the time is now to demand action from legislators, state and federal agencies, corporations, and educational institutions to establish common-sense gun reform,” Belport says. The Westport Downtown Merchants Association will distribute information and posters. The organization encourages merchants who align with the cause to support or participate too. This morning at 10, students across the country walked out of class. They honored the 17 slain students and teachers of Marjory Stoneman Douglas High School, and demanded sensible gun legislation. At Staples High School, well over 1,000 teenagers poured into the fieldhouse. Working with administrators and police, student leaders planned — and pulled off — a powerful program. Superintendent of schools Colleen Palmer praised the high schoolers for their organization, passion and sincerity. 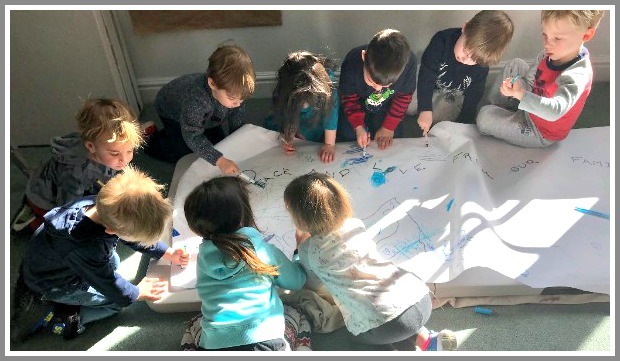 Nationwide, educators working with younger students grappled with how to handle the day in an age-appropriate manner. Bedford and Coleytown Middle Schools held their own assemblies. Children at Green’s Farms Nursery School are young enough to be shielded from the horrors of school murders. They observed a moment of silence, sang a friendship song and read a special story. Then they created a friendship mural, to send to the students of Marjory Stoneman Douglas High School. Nationally, the Marjory Stoneman Douglas High School massacre galvanized groups to act. Locally, last week’s near-tragedy at Staples High School sparked quick action too. WestportMoms — the great parents’ resources organization — is sponsoring “Make It Stop,” a gun violence protection forum. It’s this Tuesday (March 6, 10 a.m., Unitarian Church, 10 Lyons Plains Road). 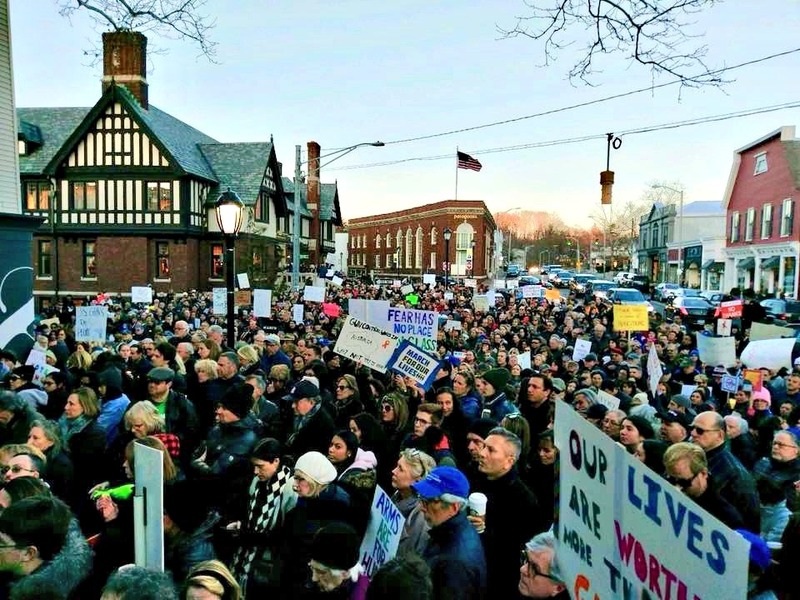 Experts from CT Against Gun Violence, Moms Demand Action and Sandy Hook Promise join Westport chief of police Foti Koskinas. Melissa Kane will moderate. The event will be livestreamed; just follow “WestportMoms” on Facebook or Instagram. A dial-in number for people who cannot attend will also be available, via those platforms. The event is free, and open to the public. To get a sense of the numbers though, attendees are asked to email info@westportmoms.com. In addition, superintendent of schools Colleen Palmer has announced that the Westport school district will host an informational session on school safety and security. It’s set for Wednesday, March 14 (7 p.m., Bedford Middle School auditorium). An overview will be followed by a question-and-answer session. First responder representatives will be there too. The other day, 2 students were killed — and 18 injured — in a Kentucky school shooting. It barely registered as news. We’ve grown so inured to the drumbeat of gun violence — 89 people are shot to death each day in America, including far too many young people — that it’s become almost a non-issue. But “almost” means there’s still hope. At Staples High School, students in Cathy Schager’s Contemporary World social studies class have formed a community action group. It’s called Disarm Gun Violence: Educating the Public About Common Sense Gun Laws. Ms. Schager’s class created a poster, and hung it near the Staples cafeteria. 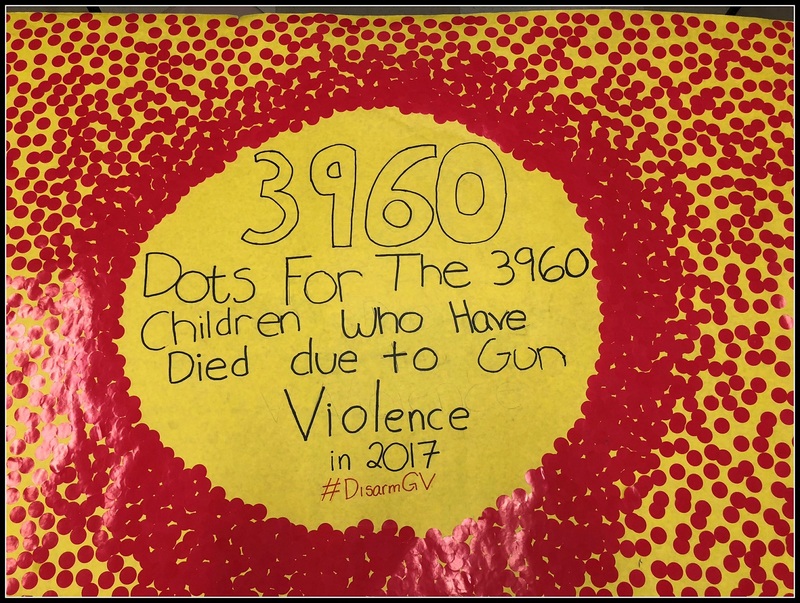 Each dot represents one child killed by a gun last year. This is a small section of the poster. This Monday (January 29, 7 p.m., Staples library) they’re hosting an event. There are 2 goals: raising awareness, and encouraging a community conversation. A short documentary will be followed by a panel. 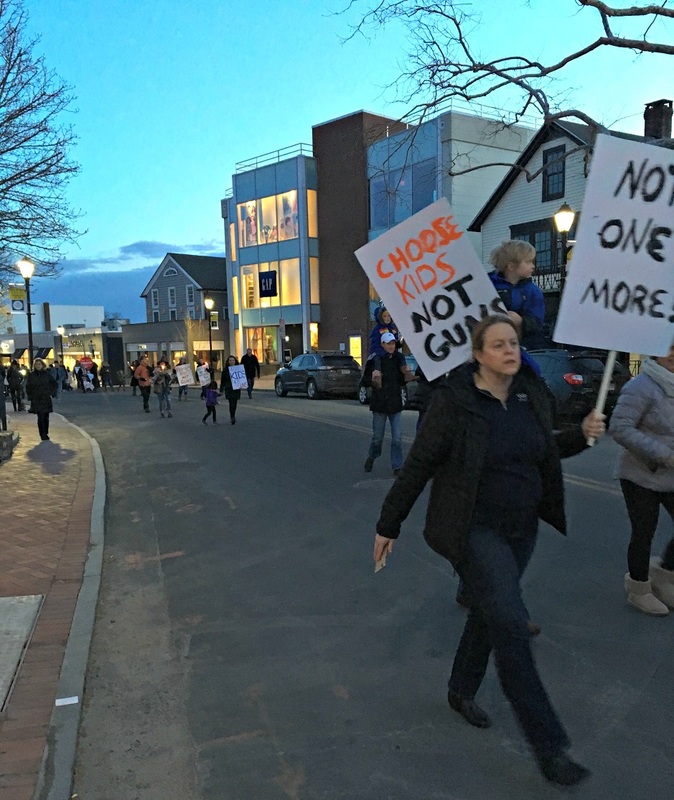 Speakers include Westport police chief Foti Koskinas, and Josh Koskoff, a Westport resident and attorney representing 10 Sandy Hook victims’ families, in a suit against Bushmaster Firearms. The evening includes a raffle. Proceeds will go to Sandy Hook Promise and CT Against Gun Violence. Because — far too often — this issue hits very close to home. This is the time of year when 12th graders suffer serious cases of senioritis. But Eli Debenham and Lulu Stracher are 2 of Staples’ most politically aware — and active — students. So this morning — instead of school — they headed to Norwalk Community College. Senators Chris Murphy and Richard Blumenthal discussed gun violence. The forum was moderated by Westport attorney Josh Koskoff. It was an important, informative event. 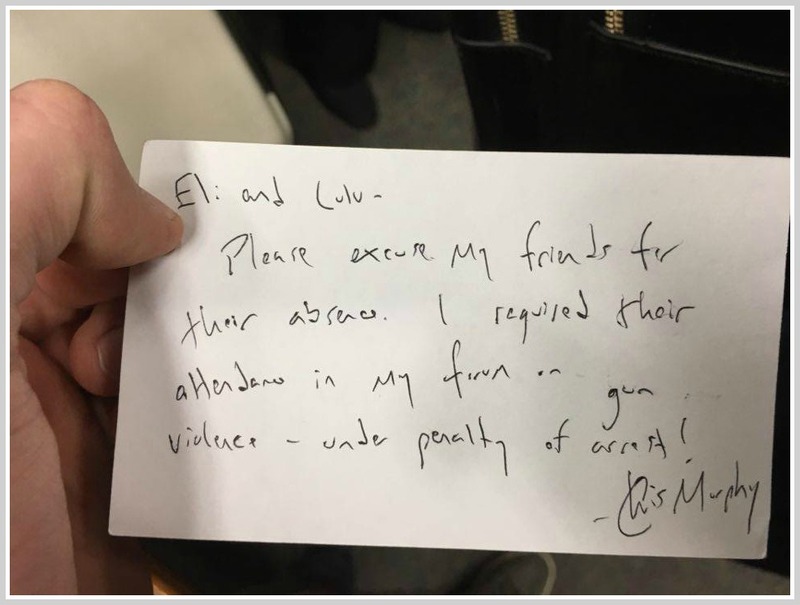 But afterward, Eli and Lulu had a typical high school worry: They needed a note for missing class. 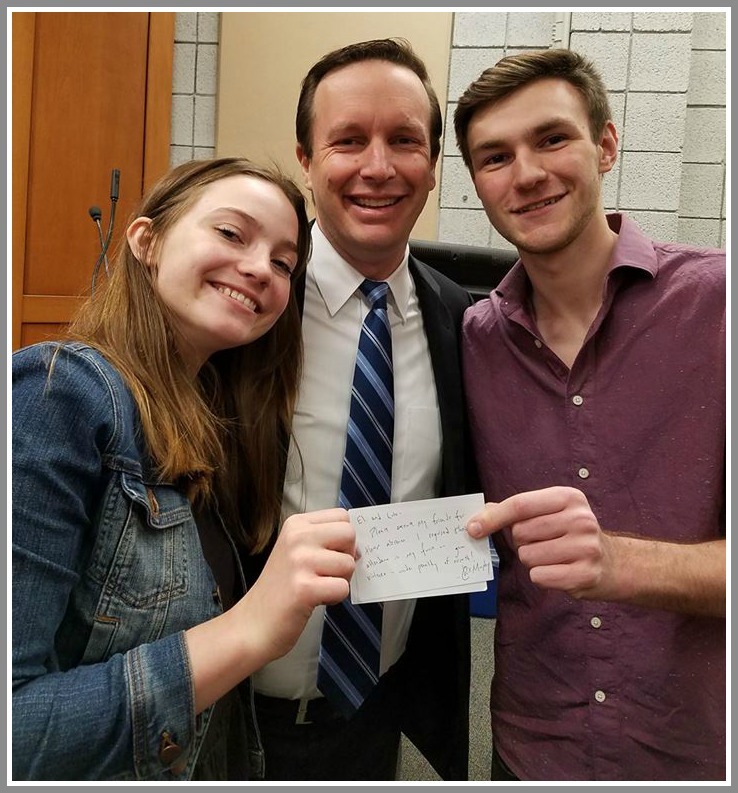 They just asked Senator Murphy to write one. Lulu Stracher, Eli Debenham, and the man who excused them from class this morning. You may like Connecticut’s junior senator or not. But you gotta admit: That’s great constituent service!